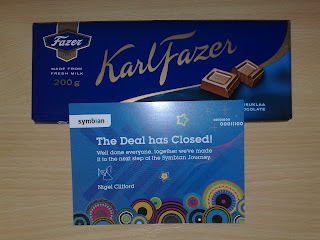 So Symbian has been bought by Nokia. To celebrate the fact, we each got a bar of (Finnish) chocolate. Let's hope we don't look back on this as the high point!